Motorola launches new smartphones under the budget segments throughout the year and the devices come with Bootloader locked which means one cannot install a custom recovery or root it. Perhaps, you can unlock bootloader on Motorola Moto devices very easily which Motorola has officially given the permission to do. 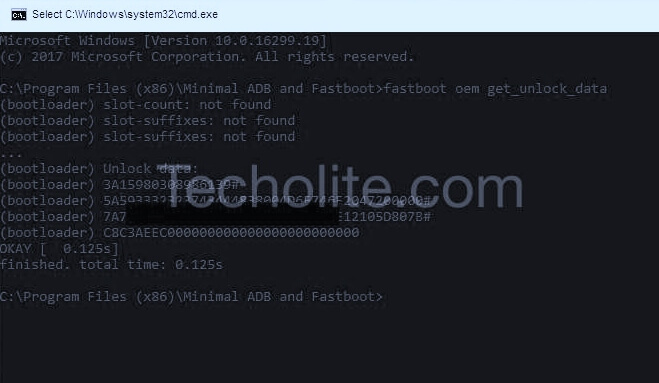 However, unlocking the bootloader on any Motorola device is not that easy because it requires little technical knowledge but you can unlock the bootloader on the moto device efficiently by following the steps given below. Unlocking Bootloader! It breaks the warranty of the device. When you unlock the bootloader on Moto smartphone it breaks the warranty and you won’t get covered by the insurance also. Make sure you can sacrifice this for the following things. Warning! Take a backup of your personal data. Everything gets erased by unlocking the bootloader. Once you got the string, open any text editor application like notepad and paste the string there and remove any space (Else copy paste it on this website Moto Data Scrub Tool if you feel it confusing).